I love this, Alisa!!! Powerful stuff! Thank you for providing the *FREE* printable to guide our wifey prayer times for our husbands!! Thanks, Leigh Ellen! I love to write these out. I figured why not share?? I’m glad you enjoyed them! Have a fantastic week! Thanks, Kristina! It’s so easy to cross the line with giving advice and direction with our husbands. I’m praying that God would send people to encourage your husband and surround him with God’s love- that he would not be able to deny it! I know it’s probably not easy being the one moving forward in faith. I spent 6 years doing the same thing. But I will tell you, when my husband got saved- it was radical!! God completely transformed him. I couldn’t deny that something had changed. I’m believing God will do the same thing for your husband. Thank you for reading today. I so appreciate having prayers and scripture laid out for me. I’ve tucked it in my bible. Thanks! Thanks, Laura! I’m so glad you enjoyed them. Thanks for visiting today! Thanks, Liz! Our husbands can always use a little more prayer, right? It’s easy for me to have it laid out- that way I can easily confess it! Thanks for visiting today! I love that you set a timer on your phone! That is a great idea, Alisa. And I appreciate your prayer topics here. It’s so easy to forget to cover our most important person in prayer. And if they can’t count on us, who can they count on??? Sharing on Facebook! Thanks, Betsy! =) At first it felt a little weird to put a reminder. I mean, is it that hard to remember to pray for my husband? And then I realized- yes some days it can be that hard! =)) I’m so glad I did it! Thank you for sharing! I’m so bad at praying for my husband… 🙁 he asks occasionally if I am, and if we’re driving past his office (once or twice a week), then I’ll say a quick prayer. But it’s a very quick thing. Thanks for these tips! Having specific things to pray for really helps. I think we all have times where we slack in that area, Bonnie! Having a reminder and a plan laid out makes it a lot easier for me to remember and be prepared. Hope this helps! Have a great rest of your week! Alisa, I enjoyed meeting you today on #LiveFreeThursday link up. I appreciate the powerful Scriptures and prayers to pray over my spouse of 18 years. Thank you for your devotion to pen encouragement! Thanks, April! I look forward to visiting your blog this afternoon! Have a wonderful day! These are really great prayers! I, like you, often get distracted by so many seemingly urgent things and forget to cover my husband in prayer. Thank you for posting these templates for me! Thanks Alisa. Love these. Printed and put in my notebook. I’m doing an awesome study called The Husband Project. That’s great, Debbie! Having a printout is always handy in keeping us on track. I heard about the Husband Project. Is that through Proverbs31?? I love this! I have never been so convicted to pray for my husband as when he lost his job a few months ago. Our husbands NEED our prayers. Thanks for the printout, too! I always like a good physical reminder! That is so true, Lynnae! Losing a job is a huge change for a man. How blessed he is to have a praying wife to war on his behalf! Praying that God continues to bless your family and provide in ways you never thought possible! I love that you are taking it and making it your own, Maria!! Thank you for stopping by today. Have a great weekend! Thank you so much for these. I needed to be reminded to pray for my husband and these were great help. Thanks, Patricia! I’m so glad they helped. I’ve been using them everyday too! =) Enjoy your weekend! I love that you put on a alarm to pray for your husband every day. That is so smart! I am definitely going to do that. I pray often for our marriage and for each of us individual but there are days that I don’t do it and when I think about the next day that I forgot to stay prayerful the day before and it bums me out. Love your tip. Thank you! I’m the same way, Carmen! I was putting way too much confidence in what I could remember. Ha! Hope your having a wonderful weekend! Alisa, I think many of us can use some help in this area — I sure can, so I’m grateful for these reminders. Sometimes it’s the simple things that we overlook. Thanks for the free download — it’s the perfect extra touch to this post. I love how beautifully laid out and easy it is to follow. Thanks, Marva! I don’t know anyone that doesn’t need help in this area- the remembering and the praying part! Thanks for visiting today! Have a great rest of your weekend! I love the prayers! This is an area I really want to improve! Thank you! Thanks, Valerie! Have a great weekend! 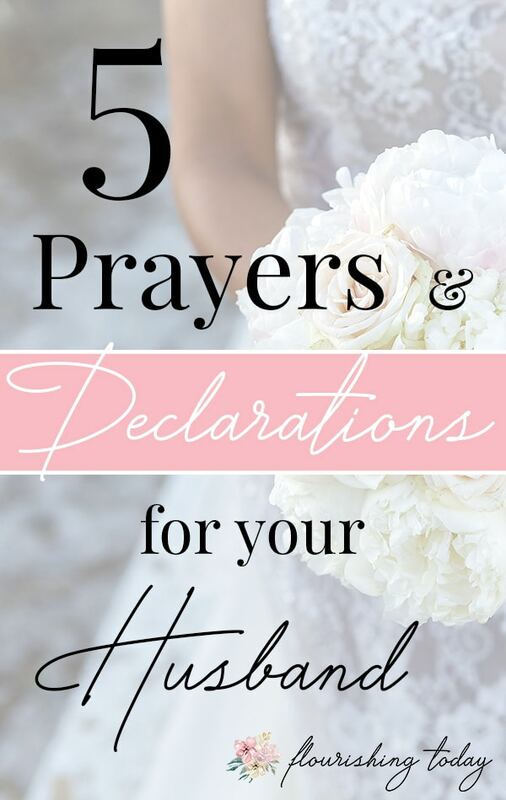 Thanks for outlining these great ways to pray for our husbands! I love that you mentioned praying for areas where your husband is already strong. I don’t usually think to do that, but those are the areas where Satan is likely to attack. 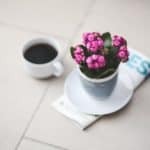 I think that praying about positive areas is also a good reminder of our husbands’ strengths so that we don’t get caught up focusing on areas where they are not as strong. So true, Courtney! We don’t often think of praying for areas where we are strong! Thank you for reading! Have a great weekend! I’ve been convicted about my prayer life lately – about doing more than just “surface” praying, but really seeking God, especially for the needs of my husband and children. Thanks for sharing these today! I love that, Tracey….praying more than just surface prayers. I can easily get caught up in adding prayer to my to do list. Usually when I do that, it gets really generic. I love focused prayer and even more praying the scriptures! Thanks for stopping by today. Have a wonderful week! Thank you, Carolina! I think we can all get better at praying for our husbands! I’m so glad you found it helpful. =) Have a beautiful weekend! Wonderful prayers! Great to share with new brides (and old brides like myself :)) Thanks for sharing. Thanks, Kimberley! I never thought about sharing this with new brides, but what a great idea!! I may have to include this in my wedding gifts! =) Thanks for the tip! Have a great weekend! Thanks, Crystal! I honestly felt the same way. That’s why I began writing them. I would see that alarm on my phone and feel the need to pray, but didn’t always know what to pray. Establishing the list helped me to stay focused! =) Thank you for stopping by! I loved reading this post. How powerful! I also like your suggestion of setting a timer on your phone. I am going to do this. Often times I can get so wrapped up in my day that I forget to stop and pray for those important to me. This will be a great reminder to do it daily. Also, those prayers are all wonderful. Thank you for sharing. Alisa, I appreciate how you based your prayers on Scripture. I’ve never been that thorough in praying. This challenges me to do better. Thanks so much! Thanks, Debbie! I love praying the scriptures! I feel like there’s more power behind praying God’s word than trying to come up with my own. Thank you for visiting! I was the same way, Louise! Making it part of our routine is so easy and rewarding too! Thank you for visiting today! What a great idea to set a prayer reminder on your phone. This is an area of prayer I have been working on and I appreciate the great scriptures and declarations to help me really focus. Enjoying linking with you today. I’ll share this on my FB page. I’ll also send you a message from your fb page. Blessings! I’m so glad you enjoyed them, Elena! Thank you for reading today. Have a great weekend! 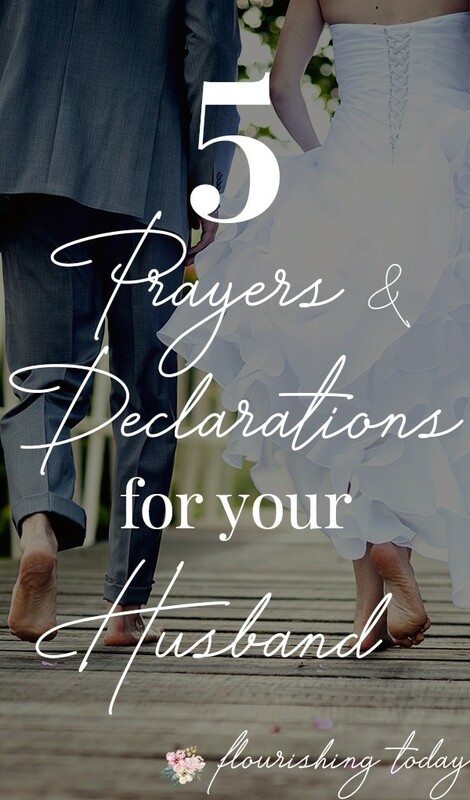 Beautiful prayers, declarations, and scripture for our husbands! There is so much power in prayer. So much hope. 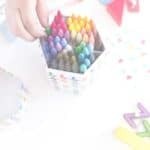 This guide is incredible for wfhen we feel at a loss for words or need a place to start or grow. Thank you, Alisa, for your beautiful words of hope you always share at #MomentsofHope! You are a blessing! Thanks, Lori! You are so right, there is a ton of power in prayer! Thank you for your encouragement. Have a wonderful week! Thanks for providing community, Lisa! YES! Excellent and spirit-filled, Alisa. Thank you for sharing your quiet moments with the Lord about your husband. My husband is such a kind and gentle man. He knows Jesus, in fact he introduced me to Him 23+ years ago. But, there is always room for prayers like these. Thank you so much. Woohoo, Amen to all of that!! Your writing is anointed and powerful!! I truly felt what you were saying deep down into my Spirit! Thank you so much for sharing these, I am adding them to my arsenal 😉 . I do pray alot for my husband but I can be guilty of missing a day here and there so the reminder on the phone is a genius idea, just saying! Again thanks so much, I was truly blessed by this and I will definitely be sharing this with others. What a great holy habit you’ve created!! I love that you’re covering your husband in every area. They carry such a heavy responsibility every day of leading and covering the household. I’m a big fan of speaking life over not just my husband, but my whole family. Our words have power and we will definitely eat of the fruit that comes out of it! Thank you so much for visiting and sharing your routine of praying for your husband. I love that you are not just focused on him God changing him, but changing you as well. Beautiful wisdom here! Thank you for sharing this! I love the areas and scriptures you picked out. What an amazing post! I will definitely be sharing this! Thank you and God bless! Thanks so much Patty! Have a wonderful New Years! 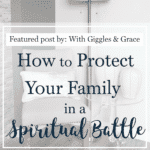 I just love the idea of setting an alarm to pray for your family. I long to be more consistent in my prayers for my husband. I think an alarm will do the trick! Thank you! Hey Natalie! It felt kind of weird at first… but it definitely helped, so it was worth the push through! 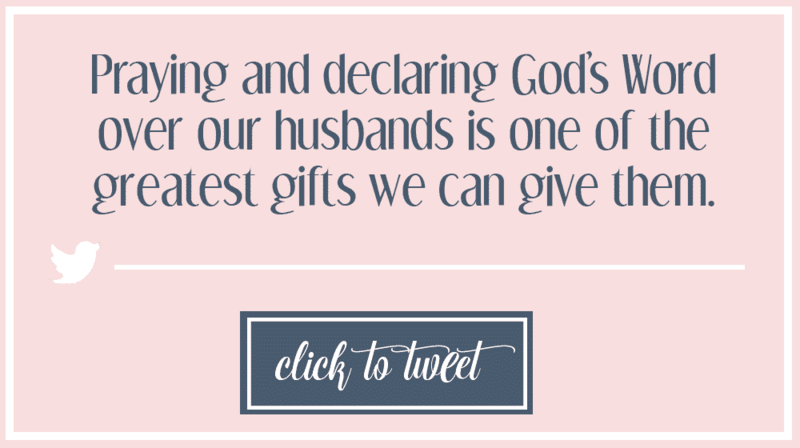 A sweet reminder to be in prayer for the gift of our husbands. Their job is immense as they lead us in righteousness in a world that tells us men are worthless, childish, irresponsible, ect. That is not who they were created to be and the reminder to be in prayer for them is a timely message- not matter the age. I agree, Jolena! Honor seems to be a lost practice in society these days. Thank you so much Alisa for this powerful resource to help us praying wives. I know I can to a better job of carving out those extra moments to pray for my sweet husband, and more specifically, how to pray for him. Blessings to you my friend. This is an area I think we can all grow in. You are a beautiful example of a godly woman! Thank you so much for encouraging in doing what is right in the Lord’s eyes in putting a hedge of protection around our husband’s and our marriages!! I truly appreciate you sharing these prayers with us. I know that there is power in praying for our husbands. I have experienced it first hand and many deliverance have come through for him through my prayers and declarations in Jesus’ name!! I felt very silly when I would confess God’s truth over him when it was still not true in the natural, and it did not happen overnight, BUT God set him free and I am forever grateful. 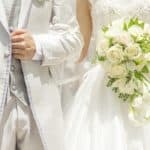 Even knowing this, I recently had stopped praying for our marriage and declaring scriptures over our marriage and I can tell how foolish this is. I started back up this week and this was just further encouragement and ammunition to use. Praise God for using you! Thank you for this it is saved on my phone and I have been praying this daily since January. I was praying different scriptures last year. I had set a reminder on my phone to pray the scriptures before I even found this blog so this has just been spiritual confirmation. I love the fact that your refer to different areas of his life to pray for and pray scriptures for. My husband has been committed to weekly park runs and the gym 3 times a week after work, as well as running a network marketing business alongside his full time job. These prayers have helped me realised how important all these things are too him and how wrong it is to feel resentful as I have in the past for feeling as if I come last because we never spend anytime together and I spend all my time with the children. May God continue to bless your endeavours. I love how this post resonated with so many wives. It is a very important part that can be overlooked in the business of life. I love how you provided the prayer examples. I am more of an imrove prayer, but I’d actually like to start writing down some prayers to be more focused. I also love the idea of a calendar–not just to remember to pray from my husband but for all the vital areas for prayer. I certaintly could pray more for our spiritual leaders, our government leaders, family, and friends. A calendar would certaintly keep me more focused on the needs of others. Great post!